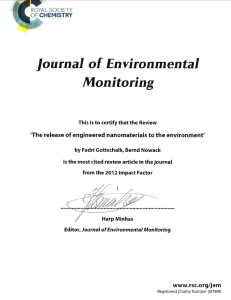 Gottschalk, F., Nowack, B., 2011. 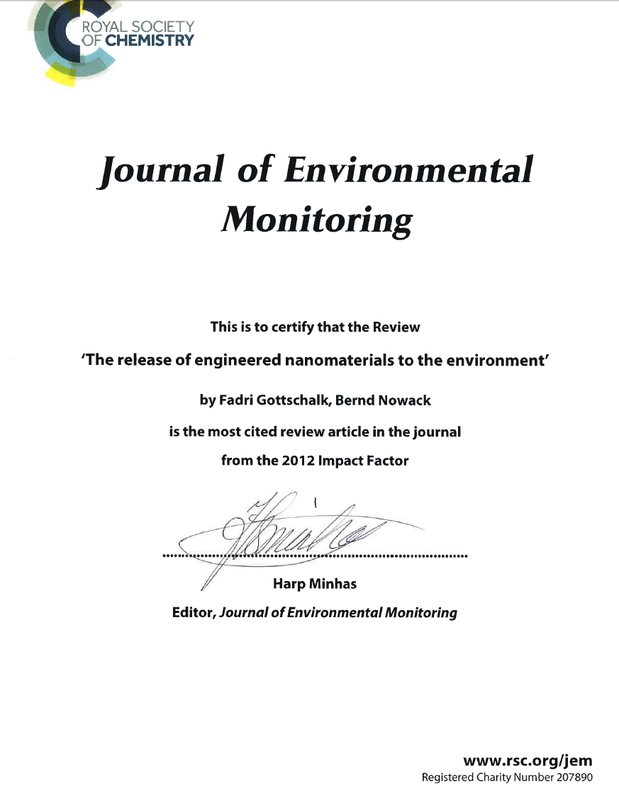 The release of engineered nanomaterials to the environment. J. Environ. Monitoring 13, 1145-1155.